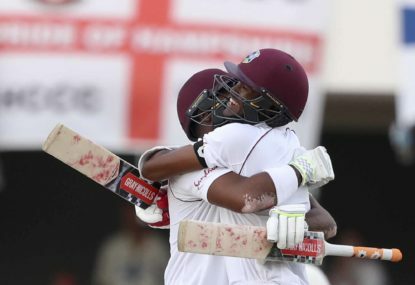 Around the grounds: Signs of life from the West Indies? Those of us who are of a certain age will remember tours of the Caribbean being one nightmares were made of. After a difficult summer, a new-look Australian line-up defeated Sri Lanka by more than an innings at the Gabba. Here are my thoughts on the match. 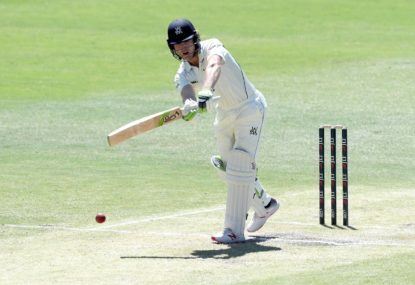 I think Australia is now ranked above England in test rankings. This after England beat India 4-1 (I know, it was a closer series than that) and SL 2-0 in SL (I know, it’s SL). Hard to know what to think anymore. I have to say, the first thing I did when it looked like the first test wasn’t a one-off was to check the long term series schedule. What a shame. I don’t doubt that they will return to the team at some point, but we’ve got two guys here who haven’t played top tier cricket for (what will be) a year and it seems to be a consensus they’ll walk into the team. Now, I am being disingenuous there because I don’t honestly believe they are not part of our best 11 – even with dodgy elbows. My issue is the deep shame they’ve brought on yours and my (not their) team and I am looking for ways to keep them out of the side. And I want them to pay for that in a way which says ‘here’s your mandatory ban for being caught and here’s your unspoken ban to show that even if you were guaranteed not to be caught, we need to know you would still never do that again because we – as a nation and as caretakers of the game – expect more of you than that’. Hell, there’s an unspoken line through Maxwell’s name because of his character/personality and he’s done less to deserve that, so it’s not like it doesn’t happen today. they’ve caused us fans each time we interact with other international fans? Maybe I am being unfair given that we haven’t seen these guys prove they’ve changed. Dunno mate, I think I am alone on this one but that’s where I’m at. 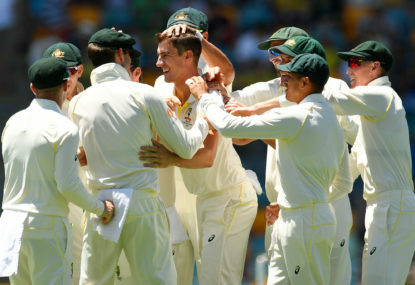 I’m with you, I think there is so much uncertainty around the rest of the team that Starc will be there for the first test. But he’s well and truly dipping in to the credits in the bank he had from past glories. The ODI WC couldn’t have come at a better time – hopefully he rediscovers his mojo. For sure, having Cummins or Lyon go down would be a hell of a downside. However, we are pretty well stocked in that department (Richardson, Pattinson, Tremain etc) and we have 6 months until the next Test. The cupboard is bare when it comes to batsmen. My opinion will be unpopular, but I don’t think Smith and Warner should walk back in to the team based on character grounds. I know they will and I am just here, shouting at the clouds, on my own with that opinion, but a man has to have principles. Anyway, Smith and Warner have both had their injury scares and we need to know if we’ve got anything in that cupboard, in case Davie does a New Idea interview the week before the Ashes. 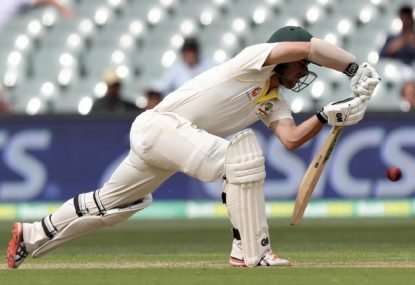 What I was trying to say that – from my reading of his interviews at least – is that he knows he needs to ensure his technique minimises the risk of being hit again, but that he will not leave the game, or compromise his run scoring potential, for fear of being struck on the helmet again.